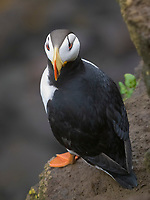 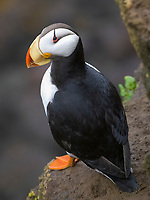 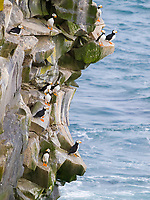 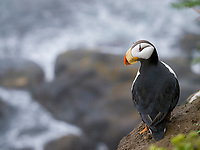 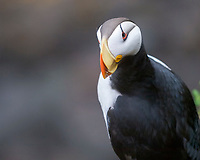 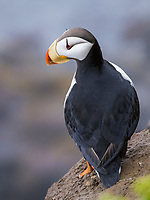 The horned puffin, Fratercula corniculata, is very similar in appearance to the Atlantic puffin, and is belong to the auks family, Alcidae. 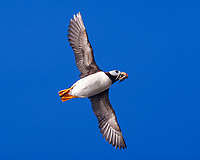 It is a seabird that feeds on fish by hunting it underwater. 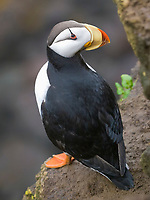 It nests in colonies on islands and countries around North Pacific Ocean.